Indeed, a hundred years ago this month, the 1918 German Spring Offensive -- codenamed Operation Michael -- was sputtering to an unsuccessful conclusion. A last desperate German gamble, aimed at shattering Allied defenses and gaining a decisive victory, had fallen short. 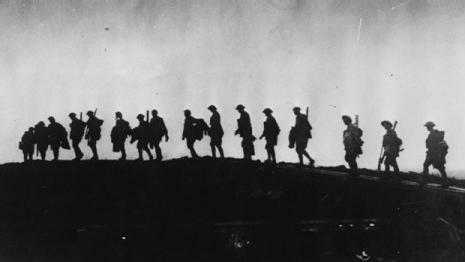 In early August of that year, with large numbers of our own doughboys now on the front lines, a massive Allied counteroffensive was to commence, continuing until the eleventh hour of the eleventh day of the eleventh month, when an armistice finally took effect and the guns fell silent. For those countries that endured World War I from start to finish -- especially Great Britain, France, and Germany -- specific circumstances provided their leaders with an excuse for suppressing second thoughts about the cataclysm they had touched off. Put simply, in Europe, a hundred years ago, war had become politically purposeless. Yet the leaders of the world’s principal powers -- including, by 1917, U.S. President Woodrow Wilson -- could conceive of no alternative but to try harder, even as the seat of Western civilization became a charnel house. Of course, our post-9/11 military enterprise -- the undertaking once known as the Global War on Terrorism -- differs from The Great War in myriad ways. The ongoing hostilities in which U.S. forces are involved in various parts of the Islamic world do not qualify, even metaphorically, as “great.” Nor will there be anything great about an armed conflict with Iran, should members of the current administration get their apparent wish to provoke one. Even so, similarities between the Great War as it unspooled and our own not-in-the-least-great war(s) deserve consideration. Today, as then, strategy -- that is, the principled use of power to achieve the larger interests of the state -- has ceased to exist. Indeed, war has become an excuse for ignoring the absence of strategy. Who should we hold accountable for this abomination? Not the generals, in my view. If they come across as a dutiful yet unimaginative lot, remember that a lifetime of military service rarely nurtures imagination or creativity. 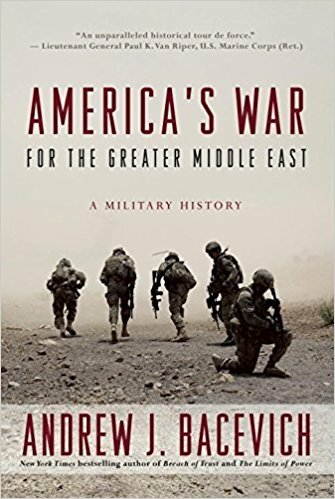 And let us at least credit our generals with this: in their efforts to liberate or democratize or pacify or dominate the Greater Middle East they have tried every military tactic and technique imaginable. Short of nuclear annihilation, they’ve played just about every card in the Pentagon’s deck -- without coming up with a winning hand. So they come and go at regular intervals, each new commander promising success and departing after a couple years to make way for someone else to give it a try. It tells us something about our prevailing standards of generalship that, by resurrecting an old idea -- counterinsurgency -- and applying it with temporary success to one particular theater of war, General David Petraeus acquired a reputation as a military genius. If Petraeus is a military genius, so, too, is General George McClellan. After he won the Battle of Rich Mountain in 1861, newspapers dubbed McClellan “the Napoleon of the Present War.” But the action at Rich Mountain decided nothing and McClellan didn’t win the Civil War any more than Petraeus won the Iraq War. Until that occurs, however, the American penchant for war will stretch on toward infinity. No doubt Saudi and Israeli leaders will cheer, Europeans who remember their Great War will scratch their heads in wonder, and the Chinese will laugh themselves silly. Meanwhile, issues of genuinely strategic importance -- climate change offers one obvious example -- will continue to be treated like an afterthought. As for the gravy train, it will roll on.